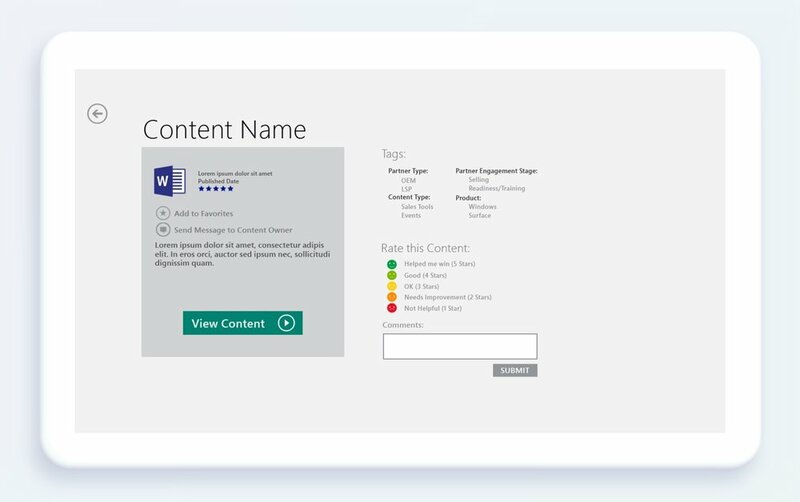 Microsoft needed a way to aggregate B2B marketing and sales content, making it readily available to their partners. Prior to the development of this app, there were multiple communication outlets, making it frustrating for partners to know where to find the information they needed. 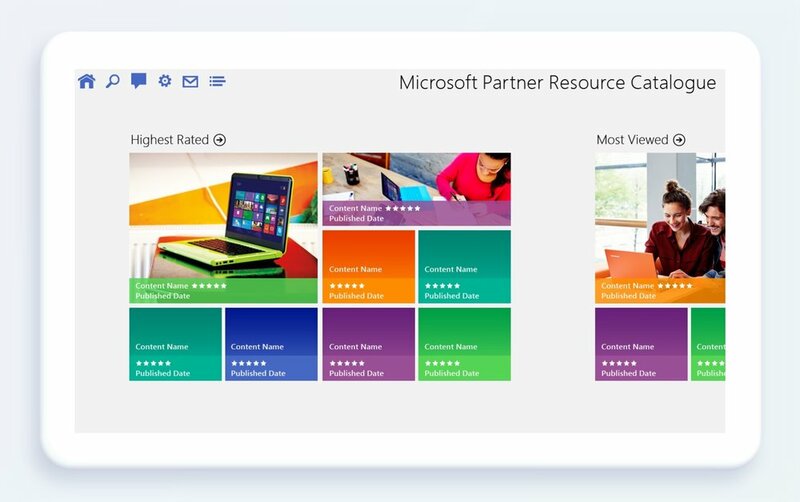 The Microsoft Partner Resource Catalog was designed to bridge this access gap, serving as a hub of all partner-facing marketing and sales materials. As the UX PM on this project, I worked with graphic designer Malcolm Montgomery to brainstorm features that balance both our client’s (Window's Marketing) and users’ (Microsoft Partners) goals. Through all phases of this project, V1 through V3, I worked closely with our Microsoft clients to refine project requirements. I worked with our designer and engineers to translate these requirements into a mobile and tablet app that was shipped to the Microsoft Store in 2014. I also helped evangelize the app across multiple Microsoft teams in order to recruit content contributors and boost visibility within Windows Marketing. This app is currently live in the Windows Store. 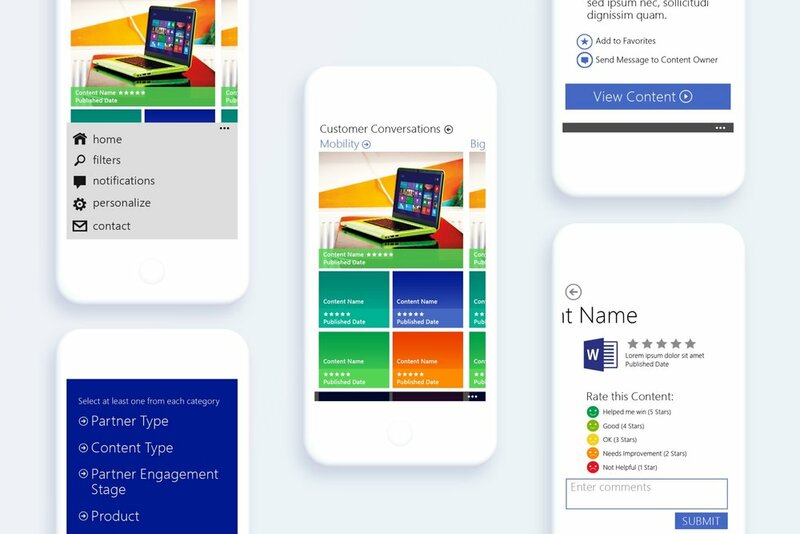 Designed for Microsoft partners, this app aggregates content from multiple partner-facing sales and marketing websites. 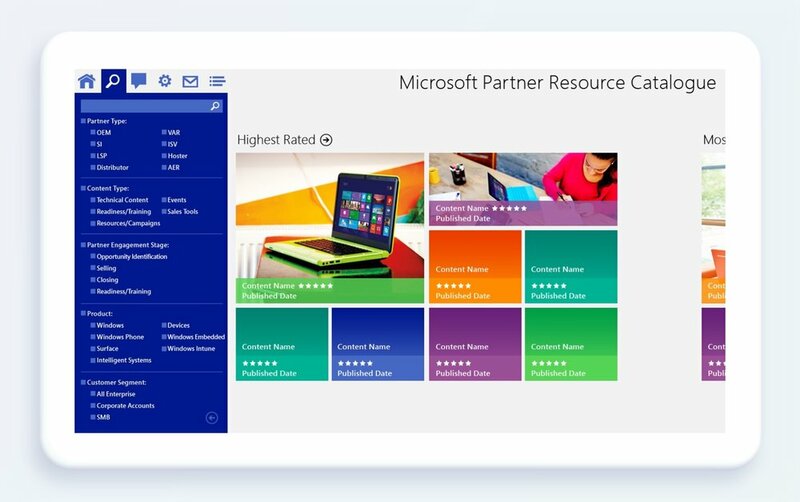 Partners use the app to learn more about Microsoft solutions, products and campaigns. User engagement is deepened through functionality that allows users to rate content, make comments (that are sent to respective content creators), and add assets to their own custom Favorites group. Design requirements included maintaining graphic and navigational consistency with Microsoft's Windows 8 Metro UI. This project involved multiple builds: V1 (Windows 8.1 tablet app), V2 (cross-platform tablet/mobile/web), and V3 (universal app).